Author Carolyn Q. 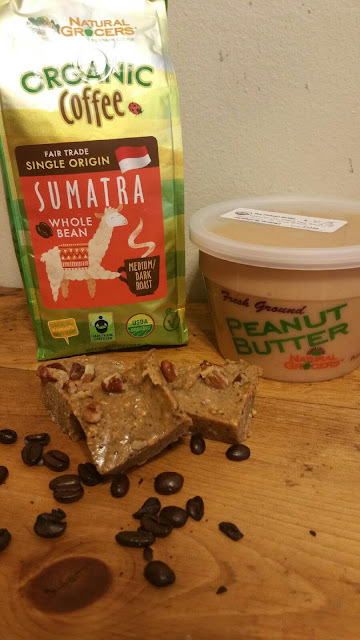 Hunter: Energizing Coffee Peanut Butter Fudge! 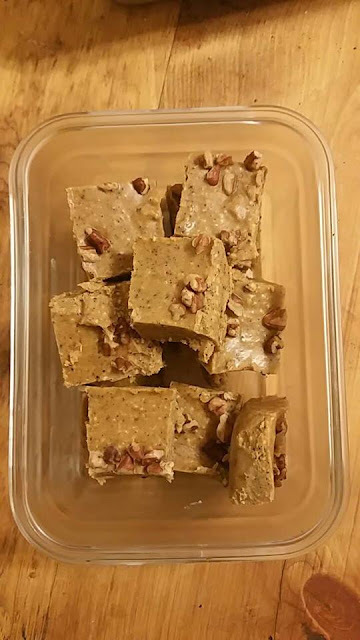 Energizing Coffee Peanut Butter Fudge! Hello, readers! 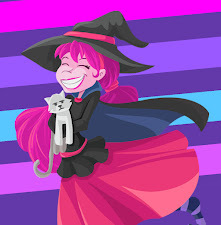 It has been some time since I last posted here on my blog. I'm hoping to change that by updating at least once a week with recipes, book news, or just little insights into my life as a full-time writer. As many of you know, I love food! (What cozy author doesn't?) I'm always trying to think up new dishes and treats to make. Baking and cooking offer a great break from writing when my brain is just overworked. What better way to restart our engines than with some coffee infused peanut butter fudge? This is something I whipped up recently when I realized I was out of chocolate in my house. When I saw I had an excess of Peanut Butter, it only made sense to make it into fudge! 4-6 Tablespoons of Granulated Sugar (or powdered sugar) depending on your preferred sweetness. Mix in the peanut butter. Return to the microwave and cook for another 30 seconds to 1 minute until the mixture is soft and easy to stir. Add the vanilla to the mixture and stir it in. Add the coffee/sugar to the peanut butter mixture. Stir until well blended. Top with chopped nuts of your choice. I like using pecans. Freeze for at least an hour. For best results, leave it overnight. After it is done setting, cut it into 1-inch squares and store in airtight container in the fridge. If the fudge is left out for more than an hour, it will start to get soft. For an extra ZING, feel free to add another scoop or two of coffee to the fudge mixture. This may add a slightly bitter flavor, but it compliments the peanuts well.